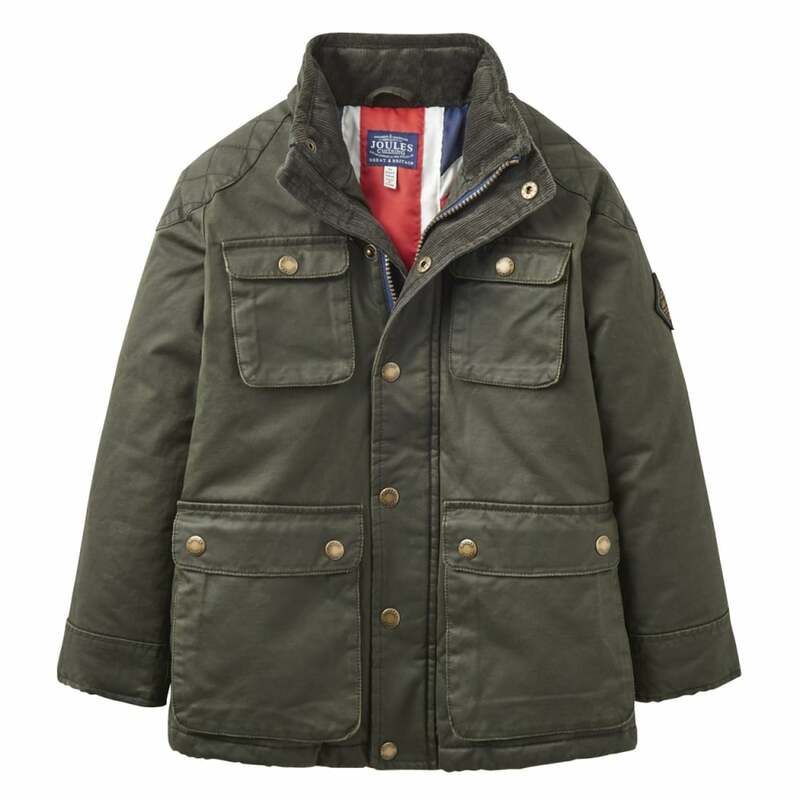 The Joules Junior Barnham Wax-Style Jacket is bursting with a brilliantly British spirit, this is one of the coolest boys’ coats we’ve ever seen! Crafted from a wax-style fabric, finished with washed cord trims and complete with plenty of pockets it’s sure to be a hit with any dapper little chap. And take a look at that lining – we’re flying the flag when it comes to cool.